When Noah Marks was a young kid, his rowdy behavior would occasionally get him into trouble and test his parents’ patience. 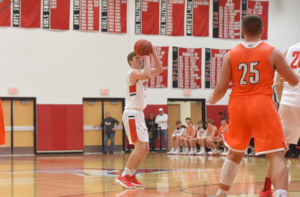 Now, as one of only two seniors on the boys’ varsity basketball team – and as and one of just two returning starters – the only havoc Noah is interested in creating these days is on the court. The 6’1” guard will be counted on heavily to bring that energy to games this season as his squad competes against some of the toughest and best athletes in WPIAL Class 6A. So much so, that some fans, including his coach, consider Noah as last year’s “unsung hero.” He’s demonstrated an admirable willingness to do whatever it takes to help the team. Often times, those actions included doing the messy work of diving on the floor to rebound loose balls and other things that don’t show glory on the stat sheets. Those characteristics are not only a coach’s dream, but also are something that Noah takes pride in. “I think one of the things I am most proud of is that last year I started on junior varsity, but through a lot of practice I got more opportunities to play on the varsity team, and I ended up being a starter in around 12 to 15 games; I’m not exactly sure how many,” says Noah, who also plays first base and pitches for the Foxes baseball team. In fact, he selected his basketball jersey number of 22 as a tribute to one of his favorite players, former Pittsburgh Pirate Andrew McCutchen. 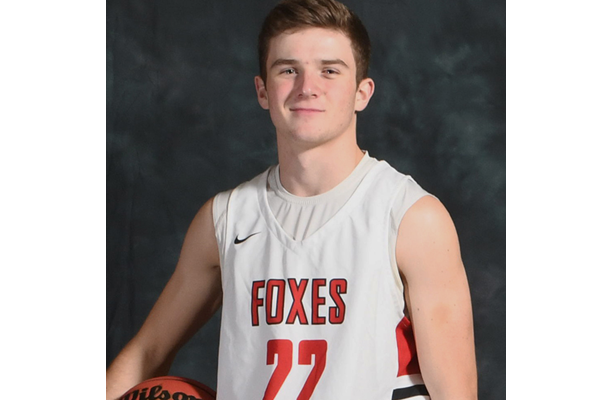 Although baseball and basketball take up a lot of Noah’s time, he still finds room to volunteer and is engaged in activities that promote inclusion at the high school and in the community. “I’m a member of Best Buddies (a group at the high school), and I volunteer for Friendship Circle Pittsburgh,” says Noah, who first became involved in support of his older brother who is autistic. The latter group seeks to create a more inclusive community by engaging youth and adults with diverse abilities and interests in a full range of social activities. Noah has formed many unique bonds through these activities, but just as special are the ones he enjoys with his fellow basketball players. He met many of them way back in elementary school when they all participated in the high school program’s many youth basketball clinics. “I remember at the time that the older players would tell us, ‘one day you’re going to be here too,’ so it’s a cool feeling to actually have achieved that and to be able to do it with guys I’ve had a relationship with since we were so young,” says Noah.